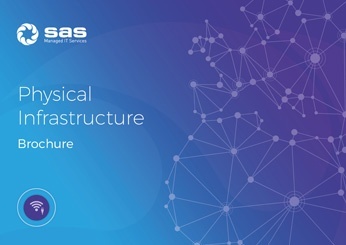 SAS’s Physical Infrastructure engineering portfolio comprises: WiFi access points, Cabling, Office IT Moves, Comms Room Services, Laser, Satellite and Bonded 3G/4G. We believe that strong IT foundations are built on exacting Physical Infrastructure standards. Accordingly, we have invested heavily in this area and our customers include some of the UK’s biggest names including Starbucks, The Body Shop, Burger King, Coca Cola, Hilton Hotels and Euro Car Parts… to name a few. We’ve provided Physical Infrastructure Services on everything from small office environments to 900-room hotels; we’ve refreshed the access points across some of the UK's largest WiFi estates; we’ve linked offices via Laser Line-of-Site; we’ve installed Satellite connectivity to organisations in remote areas; and we’ve installed many hundreds of Bonded 3G/4G solutions. 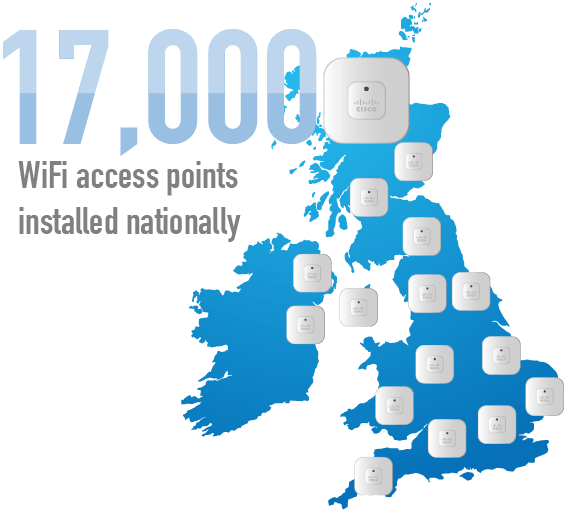 The stats alone speak volumes: over 12,000 km of cabling, more than 17,000 WiFi access points & more than 500,000 network points. If you'd like to learn more about our physical infrastructure services, why not download of free brochure today? Our services in this area comprise WiFi access points, Cabling, Comms Room Services (including full design and build), Office IT Moves and Comms Room Tidying. 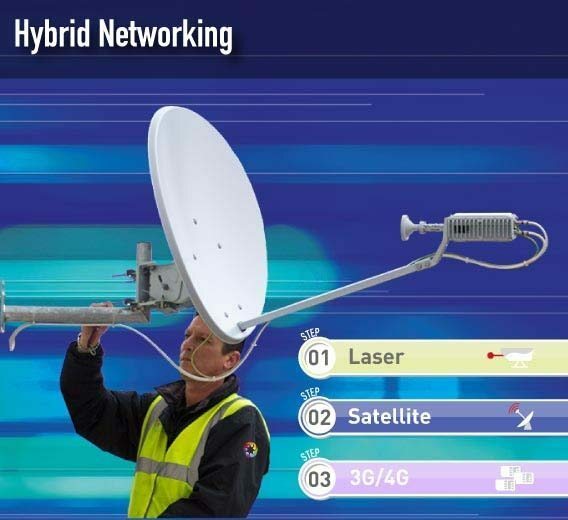 Additionally, our engineers provide a full audit, supply, installation and commissioning service for other elements of our hybrid networking proposition including Laser Point-to-Point, Satellite and Bonded 3G/4G connectivity. These services are part of our broader Professional Services proposition. Collectively they wrap around our ‘systems-based’ Managed Services Portfolio. So whether you’re upgrading an existing WAN, LAN, server infrastructure or application - or creating a totally new solution - we can provide the full range of skills needed to help design, deploy, and support the optimum converged environment for your business. SAS’s WiFi Service provides users with a high availability network that supports collaboration, mobility and guest access. 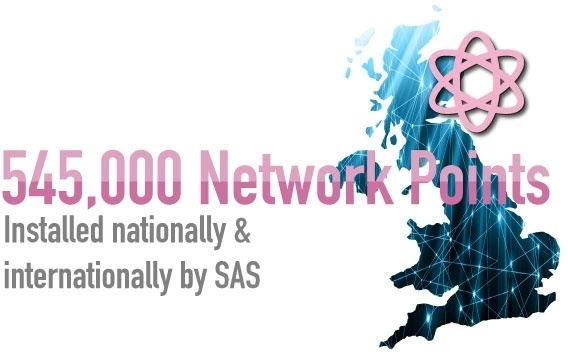 SAS has been providing a full audit, design and installation service to some of the UK’s biggest brands for more than a decade and has installed more than 17,000 WiFi access points. This includes customers within the hospitality, manufacturing, distribution, retail and banking sectors. Our network audit assesses your existing infrastructure capability and compares it with your current and future business requirements. This is followed by a wireless survey to determine the optimum positioning of the access points. Thereafter, SAS project manages the full installation and, once tested and operational, proactively monitors the solution 24/7 providing granular analysis right down to the demand on each access point. Structured cabling provides the infrastructure layer that connects your servers, routers and communications hardware. Although critical, it is one of the most overlooked components of an organisation’s infrastructure - and the least maintained. 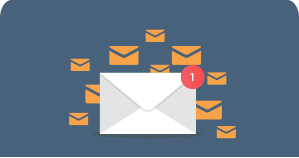 Access to email, the internet, voice, video and corporate applications could not exist without it. Standards are constantly evolving as networks advance to meet the demands of bandwidth hungry applications and Cloud technology. 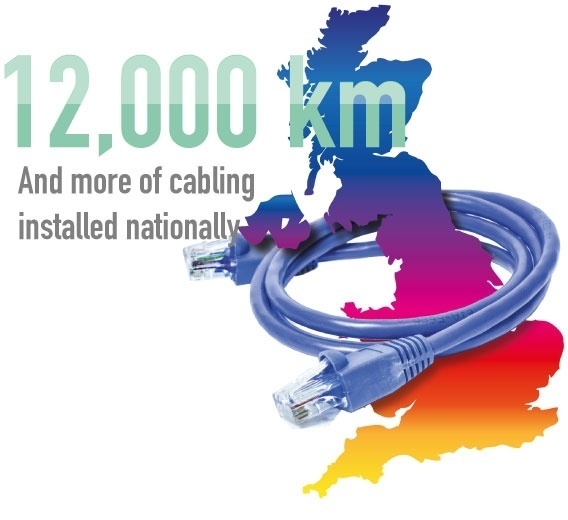 SAS has almost 26 years’ experience of structured cabling, having installed around 12,000 km of CAT 5e/6 cable and fibre optic over this period. 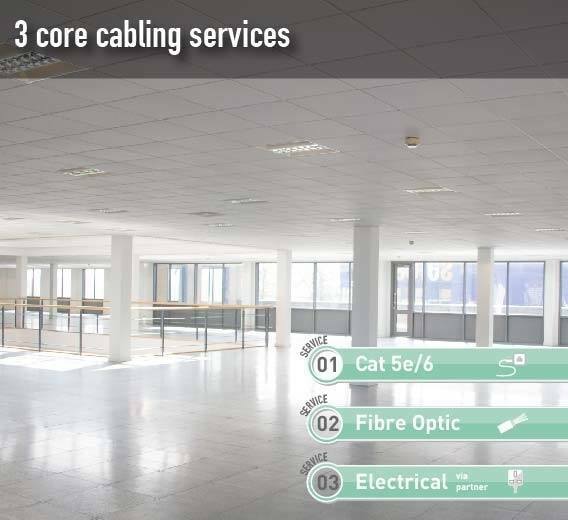 We have re-cabled more than 3,000 points for The Body Shop; re-cabled the head office for Sir Robert McAlpine; cabled Coca Cola’s head office and installed 3,600 access points for them. We also supported the 2012 Olympics installing cabling and WiFi into the hockey, tennis, water polo and common areas of the Olympic Park. 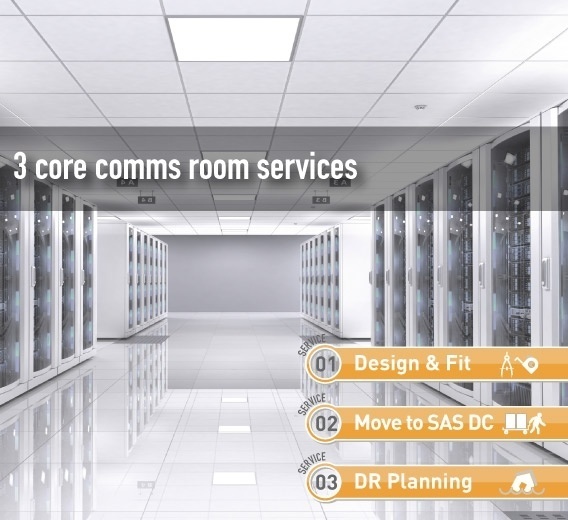 SAS provides three options to support your comms room: (1) we can design, project manage and install your own on-premise solution; (2) or we can relocate your servers and hardware to our next generation data centre; (3) or we can provide a bit of both by using our DC as part of your disaster recovery planning. We provide flexible solutions from ¼ to ½ to full racks through to private suites. If you choose to go on-premise we can manage the entire project and have more than 25 years’ experience supporting in-house IT teams. Critically, we can also refurbish comms rooms while simultaneously maintaining the availability of all systems and applications. But if you choose to relocate your servers to our Redhill DC we can have you up and running in days, not months, if you are connected to BT’s network. Over time, ordered patching cabinets become the proverbial spaghetti; cooling fans become masked; routing becomes ill-defined; moves, adds and changes (MACs) become cumbersome. And all the time problems quietly build and the likelihood of a cabling mistake or outage increases. To overcome this, SAS’s experienced technicians have provided comms room support services for over 20 years to some of the UK’s most respected brands. 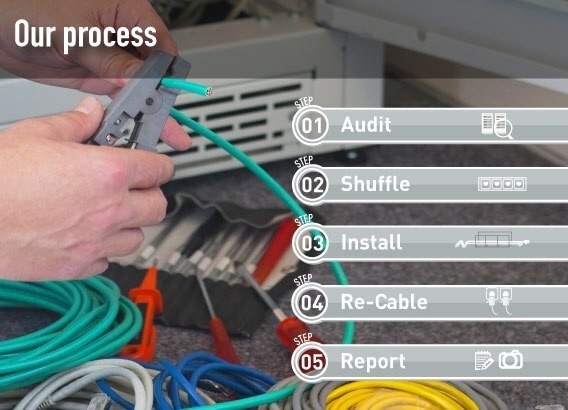 SAS audits the patching system; re-shuffles cabinets and panels; installs trunking and / or cable trays; installs coloured cables with a unique ID and re-patches in an orderly configuration. 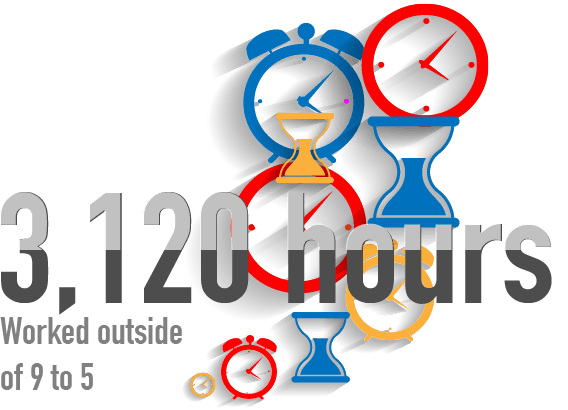 To minimise disruption we can complete our work outside of normal office hours and typically average more than 3,000 hours annually supporting in-house IT teams outside of 9-5. Once complete, we leave you with a clear cabling plan. 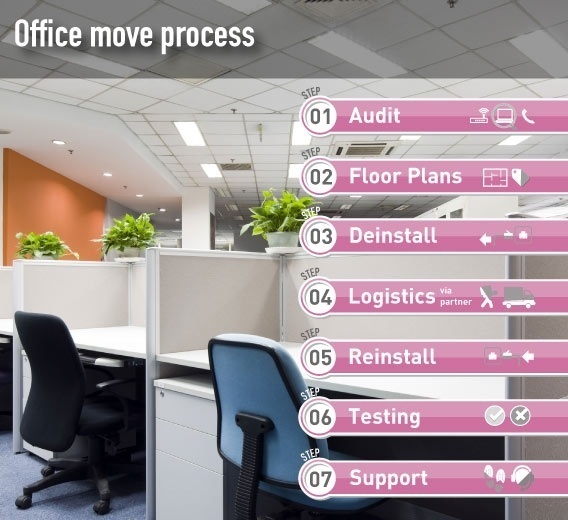 IT and telecommunications systems are the lifeblood of most organisations and relocating multi-storey offices with many hundreds of staff, or simply moving a few staff to a new location can be a complex task. In many organisations, the IT department understandably does not have the experience, equipment or resources to manage what can be a risky, emotive and highly labour intensive function. But it’s not just about the move; it’s also about seizing the opportunity to review and upgrade existing infrastructure, both within the office and the carrier connections into it. SAS has completed many office moves (using trusted logistics partners) and has two decades' experience project managing the end-to-end process: from pre-move planning through to post-move support - including managing new or transferring carrier services. In addition to the services detailed earlier, our engineers also provide a full audit, supply, installation and testing service for other elements of our hybrid networking proposition. This includes Laser Point-to-Point services: a licence free operation that provides up to 1 Gbps download speeds over 1-5km. It offers reliable, fibre-optic connections without the need for expensive physical fibre. We also support Ka band satellite which enables satellite operators to transmit around ten times as much data over the same satellite capacity as Ku band. This has resulted in smaller, easy-to-set-up equipment that is cheaper to operate. We can get you online quickly and cheaply even in places where you may have thought fast broadband was impossible. 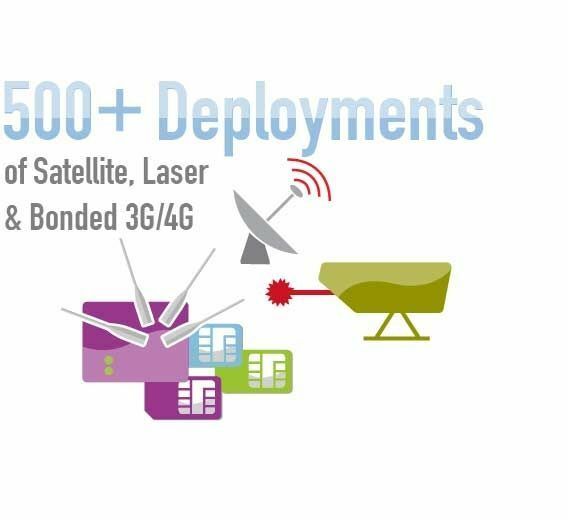 Finally, we also support Bonded 3G/4G which provides rapid deployment, temporary or emergency connectivity.